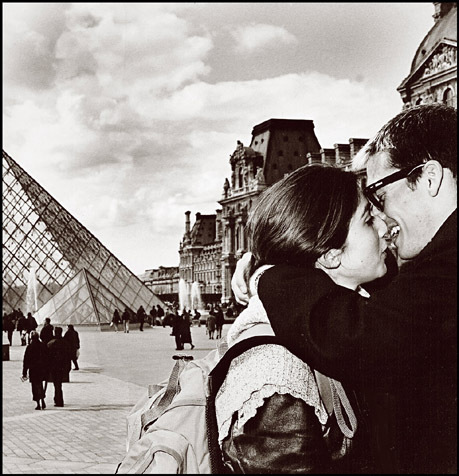 Фото "From Paris with love"
A good and very very imaginative framing. The photograph is good. Congratulations, Willem Wernsen. Excellent picture and great mood! This picture must have been taken in Paris, rigth? This photo has great perspective. I just wish the couple were actually kissing instead of caught between laughing and kissing. Also, I find the girl`s backpack distracting. Zeer goed, Willem. Groeten, Henk. A good place to love... beautiful!!!! !